The Guided Reader for Secondary English draws on extracts from the published work of some of the most influential education writers to provide insight, guidance and clarity about key issues affecting Secondary English teachers. 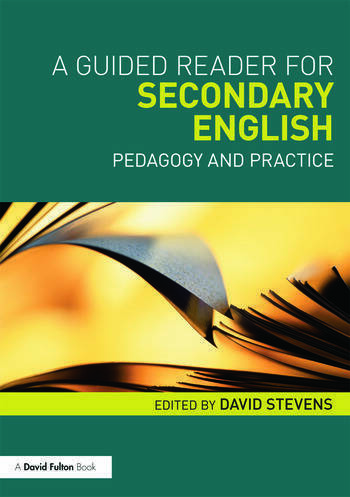 Aimed at trainee and newly qualified teachers including those working towards Masters level qualifications, as well as existing teachers, this accessible, but critically provocative text will be an essential resource for those that wish to deepen their understanding of Secondary English Education. Introduction; Chapter 1: Theoretical Models; Chapter 2: The Nature and Structure of the English Curriculum; Chapter 3: Historical perspectives; Chapter 4: Texts and intertextuality in the English classroom; Chapter 5: The arts context for secondary English; Chapter 6: Assessment and evaluation issues; Chapter 7: Linguistic and cultural contexts; Chapter 8: Future possibilities and tensions concerning secondary English. David Stevens is Course Director of the PGCE (secondary) course and Subject Tutor for secondary English at the University of Durham, UK.